The Police Melbourne Concert Review - January 26th, 2008. 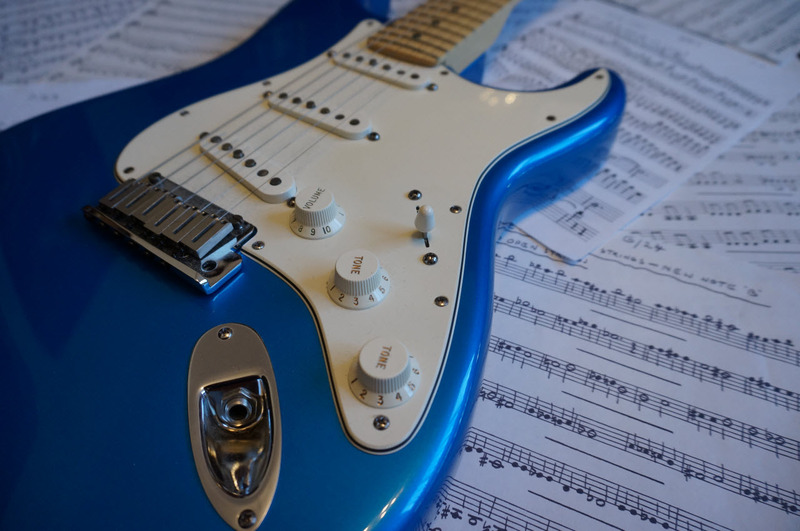 - SY Music - Music Lessons. Consulting. Music Production. You are here: Home | Entertainment | The Police Melbourne Concert Review - January 26th, 2008. 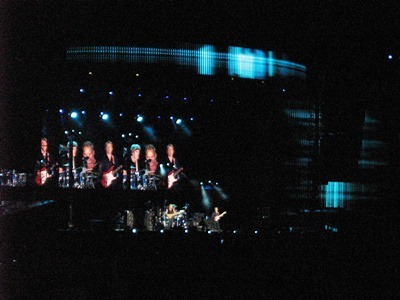 The Police Melbourne Concert Review – January 26th, 2008. One of my earliest memories as a child who loved music was listening to the song ‘Message In A bottle’ by The Police and thinking how good the lyrics were…even though I didn’t understand the meaning of the song at the time.Since the 1st time I heard that song I have been huge fan of The Police and Sting. The evening started off brilliantly with an awesome performance of the support act, Fergie, from the Black Eyed Peas. She has an amazing voice and her set was tight that included her original hits such as Clumsy, London Bridge, Glamorous and Big Girls Don’t Cry. The Police started the show with a bang and kicked off the concert with ‘Message in a Bottle’ (how appropriate for me!). From that point onwards it was one hit after another. Each song was performed with so much energy and vibrancy but that’s what we expect from these brilliant musicians. When Sting, Andy Summers and Stewart Copeland play together, the chemistry is dynamic. The Police split after their last show in Melbourne back in the early 1980s so it was amazing to actually see them at the MCG nearly 25 years later. Nevertheless, this trio was awesome! Sting is one of the world’s best songwriters and so to see him perform with his old band mates was a wonderful experience. 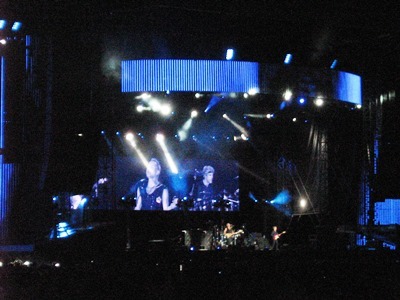 The Police performing in Melbourne, 2008. Photo by Steve Yanko. One of my personal highlights was seeing Stewart Copeland play the drums on the classic ‘Walking on the Moon’. As crazy as this sounds, he makes those drums sing on that song. The Police at the MCG. Photo by Steve Yanko. Overall, this was an exciting and powerful show and I loved every second of it. The set list was fantastic and the musicianship was superb. The Police made this a very special Australia Day…one I’ll never forget.